MGM Resorts International is committed to helping even the playing field for women in the workplace. In 2007, our nonprofit organization MGM Resorts Foundation partnered with Las Vegas diversity and community organizations to create an event that has evolved into our annual Women’s Leadership Conference. The idea behind the conference is to provide women and men attendees from all walks of life with the developmental tools they need to advance personally and professionally. 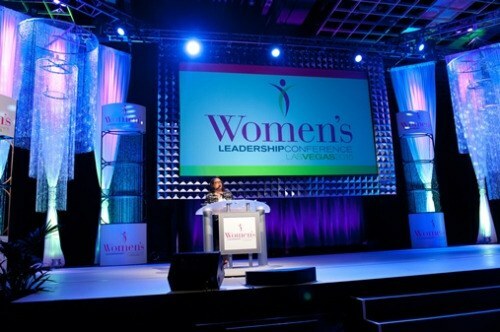 The 10th annual Women’s Leadership Conference will be held August 8 and 9 at MGM Grand Las Vegas to an already sold-out audience of 1,000-plus. During the past decade, the conference – or WLC – has grown in size, scope and reputation. Through dynamic programming and acclaimed speakers, WLC has become a premier event among women’s conferences in our nation. The past two decades have witnessed a slow, steady but determined string of advancements in societal gender equality. So why, you may wonder, is a conference like WLC needed in 2016? Today, more women than ever before are the family’s main breadwinner. But not all of the rules – and cultural attitudes – that govern our workplaces have caught up with this reality. Too many of the opportunities that our mothers and grandmothers fought for are left unrealized in 2016. Although they hold almost 52 percent of all professional-level jobs, American women lag significantly behind men when it comes to the areas of representation and pay in leadership positions. With grit and resolve, the fight to overcome discrimination and shatter glass ceilings continues in our country. As a new generation of women and girls continues to reach for new heights, they stand on the shoulders of all those who have come before and carry forward their legacy of proud achievement. This increasing participation of women in our workforce has demonstrated something we all know to be true: When women succeed, America succeeds. Events like WLC present an opportunity to give new meaning to the idea that we are all created equal, and should widen the circle of opportunity for women and girls across our country. The theme for this year’s conference is, “Women Inspiring Women.” Through WLC, we hope to spotlight the stories and experiences of successful women leaders as guides and role models for other women, and provide opportunities for women to sharpen their leadership skills in service to themselves, their families, their workplaces, and their communities. We’ll feature inspiring speakers, such as Donna Brazile, the first African American woman to serve as campaign manager for a major party presidential campaign, and Adrianne Haslet, a survivor of the Boston Marathon bombing. Each year, the proceeds from the conference, after costs, are donated to a local nonprofit organization that is devoted to the welfare and development of women and girls in the Las Vegas community. WLC is a signature program of the MGM Resorts Foundation. We view it as an opportunity to further our commitment to advancing societal gender equality while enriching our communities and paying it forward. After last year’s conference, the MGM Resorts Foundation donated $30,000 to Southern Nevada Children’s First, an organization that provides support to the homeless and pregnant youth in Las Vegas. Click here for more information on the 10th annual Women’s Leadership Conference. Phyllis A. James is Executive Vice President, Chief Diversity Officer and Chief Responsibility Officer for MGM Resorts International.